If you really cared about the welfare of your students you would never shame them, even in order to make a point. If I became aware that a student’s profile picture was inappropriate I would deal with it thoughtfully and discreetly. A 15-year-old says she was humiliated by a teacher who showed an enlarged picture of her in a bikini to more than 100 other students during a school assembly. 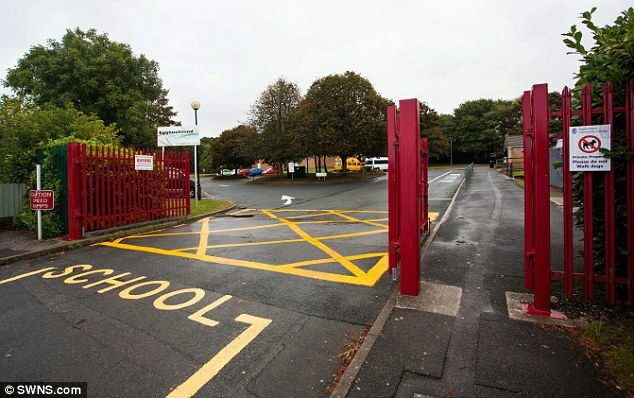 Children at Eggbuckland Community College in Plymouth, Devon, were shown the photograph taken from her Facebook profile to illustrate the pitfalls of posting private images online. Unknown to the schoolgirl, who has not been named, staff had taken her swimwear photo off the internet. It was blown up and added to a portfolio of other pictures then shown during a packed school assembly. The shock tactic at the 1327-pupil specialist arts school left the girl distraught. Her mother, who has now made an official complaint to Ofsted, said: ‘They took the photo from her Facebook profile – she put it on there last year. ‘They used other photos of kids from the neck up but for some reason they thought it was OK to use a picture of my daughter in her bikini. ‘Why did they have to use an image like that to make their point. Then they pointed her out in the assembly. She was really upset. The teachers should have shown the students this instead. This entry was posted on October 7, 2014 at 1:09 am and is filed under Cyber Safety. You can follow any responses to this entry through the RSS 2.0 feed. You can leave a response, or trackback from your own site. I can see the point they were trying to make. It is necessary for students to understand that everything you put on the internet can be found and shared and an example is a good idea. I’ll be honest a small part of me wants to say to the girl “you know what you learned an important lesson.” The majority of me really feels bad for her, because it’s honestly a bullying tactic, something schools should never resort too. They could have made the point a different way. A fifth grade teacher (I think) created a post on FB last year with a poster saying she was trying to teach her students how quickly things spread on the internet, she asked people to share it and reply where they were. By the time I saw the post it had been shared in the thousands of times. Finding that alone and sharing it would make the point. Which reminds me I need to find that and share it with my tech students.